This collection of gluten free dessert recipes makes baking so easy. You still can have chocolate brownies, cookies, ice cream and more! Dealing with having to eat gluten free can be somewhat challenging at times. You have to read labels very carefully and scrutinize the menu while dining out but once you get used to it- it becomes second nature. You will find that getting a dessert that is gluten free on a menu (even these days) is quite rare so you will have to learn to become a baker- don’t worry I’ve made it easy! Many of the gluten free cake and cookie mixes that are prepackaged in your supermarket are pretty good and most of them are easy to make. Any of the commercial desserts listed on this page to the right I have personally tried and find them to be not only delicious but just so easy to make and bake that I usually prefer to go the prepackaged route. Everyone I know seems to enjoy this collection of recipes. I have brought them to many a party and never has anyone ever suspected they were eating a dessert that does not contain gluten. As you may already have noticed I tend to stick to easy recipes (quick and delicious) so you can guarantee that you won’t have any trouble with these! When baking I have found that its one of those things in life that must be exact so make sure to measure precisely. 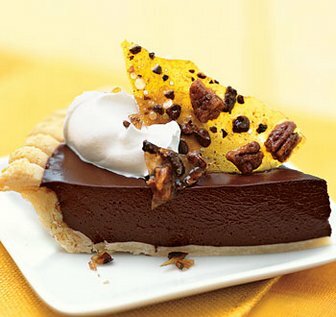 Now preheat your oven and get ready to make the easiest, tastiest desserts on the planet!